As we enter the 100th anniversary of the United States' entry into World War I, the archives of the Local History Department of the Chattanooga Public Library highlights collections associated with that time. You can see newsletters published by German prisoners of war at Fort Oglethorpe, letters from local soldiers and photographs of members of Chattanooga's Battery B. 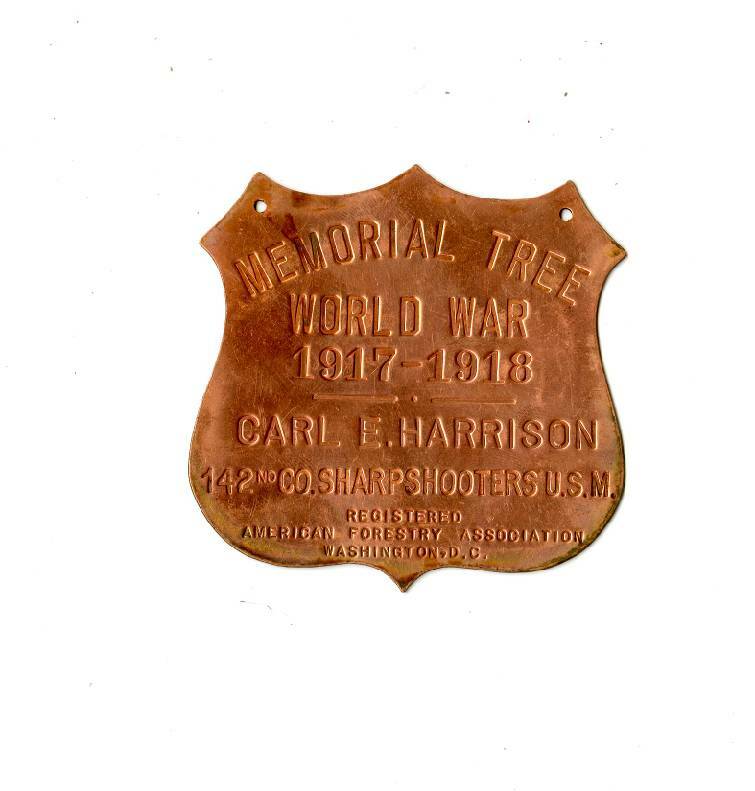 The library also has what is called the Hamilton County World War 1 Roster, a collection of data on all local citizens who served in the war, men and women, black and white. In May 1918, the National League for Women's Service, formed a year earlier to assist in the war effort, met in Chattanooga for a parade and conference. Maud Wetmore, national chairwoman, led the talk. Genevieve Allan (Mrs. Dwight P.) Montague chaired the local council. During the war, she helped establish health and fitness facilities for soldiers training at Fort Oglethorpe. After the war ended on Nov. 11, 1918, the National League began a massive effort to document and honor those who served, and Montague made it her mission to verify the service of each local citizen who took part in the war. It took her 10 years to complete the task. She conducted interviews and sent letters, visited veterans' organizations and gathered letters and newspaper clippings. Each member of the service had a card listing name, unit and service branch. The list included those who worked with the Red Cross and the Y.M.C.A. She organized the cards for military service by Navy, Marine and Army (segregated by race). On Nov. 11, 1929, The Chattanooga Times published Montague's list omitting those who deserted or were court-martialed. The Hamilton County World War 1 Roster at the library contains more than 12 boxes of names, clippings and histories. In addition to cards, the collection holds a history of Battery B, a unit organized in Chattanooga as well as several bronze signs or plaques. Each sign names a deceased serviceman and his or her unit during the Great War, as registered by the American Forestry Association. It appears the signs were to be nailed on memorial trees planted on Rossville Boulevard. On March 17, 1923, The Chattanooga Times reported that a "memory way" was to be dedicated with the planting of elm trees on Rossville Boulevard between Commerce Street and the old Gifford home site. Five trees, the gift of the American Legion Auxiliary, were to be dedicated to the soldiers of the late war. Trees also were dedicated to "our heroes" by the Judge David Campbell Chapter, Daughters of the American Revolution. The Presbyterian Church of St. Elmo gave a tree in memory of "Francis Arthur Mason, late of the Great War." The Third Presbyterian Church dedicated trees to the men of Battery B. A tree in honor of the "colored" fallen soldiers was given by the memorial committee of the National League. The fate of those elms meant for Rossville Boulevard trees is unknown. However, the bronze signs and the products of Montague's hard work are now available at the Chattanooga Public Library. Six signs honored Marines. Six were for those in the Navy; eight, the Army (colored); and 64, the regular Army. An attempt was made to find each soldier's draft card or tombstone. John Donahoo's sign with "col." after his name indicated he was African-American or "colored." According to the Chattanooga National Cemetery, he was a corporal with the 804th Pioneer Infantry and died Sept. 24, 1918. The sign, at left, belonged to Carl Harrison of the 142nd Sharpshooters of the Marines. In the 1910 census, he was age 11, living with father James and mother Vina in Hamilton County. He died Sept. 29, 1918, and is buried in Chattanooga's National Cemetery. Many honored by the bronze signs died of disease, wounds and mustard gas. Many were buried overseas and later brought back to the States for their loved ones to mourn. Others of the fallen left nothing to bury and were marked on a sign in the Meuse-Argonne American Cemetery in France. Montague's efforts are preserved as accession 372 Hamilton County World War 1 Roster. Due to her efforts, 100 years after the tragedy, we can learn about those who went over there as well as those who served here at home. Suzette Raney is the Chattanooga Public Library archivist. To see the collection, visit the Local History Department at the Broad Street branch. For more see chattahistoricalassoc.org.